RISHI is a Green Campus, spreads over a beautiful and sprawling area of 5.2 acres with a serene and congenial atmosphere ideally suited for technical education. 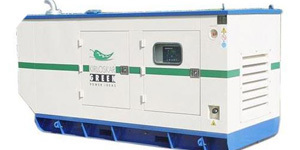 A standby power generator is provided in the campus to take care of the occasional power shut down due to maintenance and other reasons.In RISHI “Anti Ragging Committee” is constituted which takes necessary timely steps to ensure that no ragging takes place within the campus or outside. 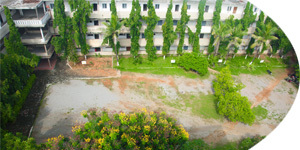 In RISHI the infrastructure and facilities available on campus are amongst the very best. It is a wholly self-contained campus comprising of everything that students would ever require. In RISHI a campus wide wireless computing network (WIFI) is in place that allows faculty, staff and students to log on to the Internet at any point of time in the campus. It is also equipped with round-the-clock CCTV surveillance. Library is the heart of an Academic Institution. RISHI encourages all students and staff members to make the best use of the library that has been carefully built up since the inception of the college. It is housed in a spacious area with Reference Section, Magazine Section and Stack Area and provided with necessary books in the fields of Engineering, Management, Basic Science and Humanities for the benefit of staff and students. It subscribes necessary books, specialized and international journals. Every effort is being made to obtain all necessary books, national and international magazines recommended by the faculty on regular basis. Newspapers, weekly and fortnightly magazines of repute are subscribed to enable the students to keep abreast of day-to-day trends. The library comprises of an Audio-Visual section equipped with videocassettes and CDs.